About: Visvesvaraya Technological University (VTU) is one of the largest Technological Universities in India providing value-based and need-based learning by focusing on fundamental and applied research. This University has over 15 years of excellence in technical education, research, and innovations. Every year, around 50,000 students graduate from this University. Affiliations: Visvesvaraya Technological University has 218 affiliated colleges, 1 constituent college and 17 autonomous colleges under its umbrella. It offers education in a total of 35 disciplines for undergraduate courses, 94 disciplines for postgraduate courses and PhD & M.Sc (Engg.) in research in 592 disciplines. Over 4 lakh students study under the aegis of this institution. Types of Courses: Visvesvaraya Technical University (VTU) offers Full time and Part time Doctorate of Philosophy (Ph.D) and Master of Science (M.Sc) programs in various engineering research disciplines. Conducting Authority: The VTU ULRAT 2019 Exam is organized by the Visvesvaraya Technological University every year to offer admissions in Ph.D streams. Frequency: The VTU ULRAT entrance exam is conducted once a year in the month of July-August. The date of the venue can vary year to year. Application: The application form for VTU URAT 2019 will be available from 14th April 2019 to 30th June 2019 and eligible candidates can apply. Admit Card: The issue of admit card is only for candidates who completed the registration process successfully from 1st August 2019. To know more, please check the VTU ULRAT 2019 Important Dates. The candidates must check the basic Eligibility Criteria and see whether they fulfill it or not before applying for VTU ULRAT 2019 Exam for the desired program. Final Year: The candidates who are studying in the final semester of M.Tech, M.Arch, MCA, MBA, and M.Sc. (Physics, Chemistry, Mathematics, and Geology) can also apply for the research program. To know more in detail, please visit VTU ULRAT 2019 Eligibility Criteria. Where to register? Candidates can download the application form from the official website and then mail the duly filled form along with the demand draft for the Application form to the university's complete the application process. Last Date od Registration: The eligible candidate has to submit VTU ULRAT 2018 Exam application form before 30th June 2019. To know more about Registration details, see the VTU ULRAT 2019 Application Process. Release date: Admit card will be available from 1st August 2019 to the candidates who have completed their registration process successfully. Source: The admit card can be downloaded from the official website of Visvesvaraya Technological University. To know more, feel free to see the VTU ULRAT 2019 Admit Card. Maximum Marks: The VTU ULRAJ 2019 Exam for each type of course specialization will be of 100 marks. Type of Exam: The exam will be an Objective type in nature with multiple choice questions (MCQ). To get detailed information, go to VTU ULRAT 2019 Exam Pattern. The syllabus of the VTU ULRAT 2019 is available on the official website of the University. The candidates are advised to prepare for the exam according to the subjects and the topics available in the syllabus. To know more, you can check the VTU ULRAT 2019 Syllabus. Date: The VTU ULRAT 2019 result will be released on 30th August 2019. Official Website: The official website will display the result for the candidates who have appeared for the test. To know more, please feel free to check the VTU ULRAT 2019 Results. Updates: The candidates after viewing their VTU ULRAT 2019 Exam result must keep in touch with the official website which is www.vtu.ac.in for updates on counselling dates. Documents: The candidates are asked to bring documents like mark-sheets and certificates at the time of sitting in the counselling rounds. To know more about Counselling, please check the VTU ULRAT 2019 Counselling. Note: Please call only for issues related to the admission process, academic matters and issuance of migration certificate etc. Application: The last date to apply for VTU URAT 2019 is 30th June 2019. Admit Card: The admit card for VTU URAT 2019 will be issued on 1st August 2019. Exam Date: The VTU URAT 2019 exam will be conducted on 1st August 2019. Results Date: The VTU URAT 2019 exam results will be released on 30th August 2019. Basic Details: The candidates must fulfil basic Eligibility Criteria for the VTU ULRAT 2019 Exam to be able to apply for the program desire. Final year: Candidates who are studying in their final semester of M.Tech, M.Arch, MCA, MBA, and M.Sc (Physics, Chemistry, Mathematics, Geology) may apply for the research program. Patents/Research: Candidates with published research papers or filed/obtained patents are eligible to apply. Download: The applicant must visit the official website of VTU ULRAT 2019 exam and must download the form. Details: The applicant must then fill in the form with his/her personal and educational details. Documents: They must then attach the required documents. Fee: They must then send the form to the University along with a fee of 1000 INR. Payment Options: The payment of the fees through credit/debit card or internet banking or by means of a Demand Draft or Pay Order for 1000 INR in favour of "Tolani Maritime Institute", payable at Pune. Official Website: The candidates can download the form from the official website of VTU ULRAT 2019 Exam and then mail the duly filled in form to the University to complete the process of application. Date: The last date for the submission of VTU ULRAT 2019 Exam application form is 30th June 2019. Payment: Payment of the fees through credit/debit card or internet banking or by a DD (demand draft) or a pay order for 1000 INR in favour of "Tolani Maritime Institute", payable at Pune. Post: The VTU ULRAT 2019 Exam application form is to be sent by post to the University. Official Website: VTU ULRAT 2019 admit card can be downloaded from the official website of VTU ULRAT 2019 - www.vtu.ac.in. Duplicates: No duplicate of the VTU ULRAT 2019 Exam admit card will be issued. Plagiarized: If the VTU ULRAT 2019 Admit Card is tampered or plagiarized with, the candidate will be barred from further examinations by the conducting authority. Date: The VTU ULRAT 2019 will be released on 30th August 2019. Official Website: The VTU ULRAT 2019 result will be available on the official website of the institute which is www.vtu.ac. Shortlisting: Selected candidates are shortlisted and are invited to the counselling session. Updates: The candidates after viewing their VTU ULRAT 2019 Exam result must keep visiting the official website which is www.vtu.ac.in for the updates. Authority: The updates will be provided by the VTU Management. Shortlisted: Only candidates that are shortlisted will be invited for Counselling. Should complete and qualify VTU entrance exam VEL Tech university inter exams. Should complete and qualify VTU ULRAT inter exams. From where I download the VTU ULRAT syllabus? VTU ULRAT Exam contain General Aptitude, Quantitative aptitude and Subject aptitude. 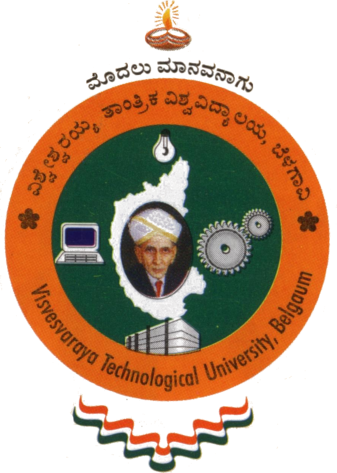 To download the VTU ULRAT Syllabus in pdf format Click Here. To know more about the VTU ULRAT Exam Click Here. What is the paper pattern of VTU ULRAT exam?